The European Network Against Racism (ENAR) Ireland, a national network of anti-racism civil society organisations, are hosting a seminar in Limerick on Wednesday 11th May in the Absolute Hotel, exploring islamophobia in Ireland. The seminar will bring together local and national experts in the field of anti-Muslim racism to discuss the experience of people affected by Islamophobia and how we can address these issues collectively in Ireland. Islamophobia, also termed anti-Muslim racism, is a growing concern in Ireland and across Europe. 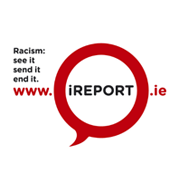 In 2015, over 40 Islamophobic incidents were reported to ENAR Ireland via the online reporting mechanism available at www.iReport.ie. Incidents reported to ENAR Ireland concerned physical assaults, online and verbal abuse that occurred in locations across the country, including Limerick. “The vicious and cowardly Islamophobic attack on three young men in Dublin last week throws into sharp focus the problem of hate crime in Ireland, and the need to identify and tackle Islamophobia in all spheres of Irish life. As a society we need to go beyond condemnation and expressions of solidarity to examining the intimate connection between Islamophobic tropes carelessly reproduced in the public sphere by journalists and other opinion formers, and the hate attacks by individuals and groups who act on these ideas.” Said Shane O’Curry, Director, ENAR Ireland. The publication of a recent research report “European Islamophobia Report 2015”, outlines the scope and nature of the problem in an Irish context, which is authored by James Carr of the University of Limerick, who will present his research findings at the Limerick seminar. The seminar will be chaired by Shane O’Curry, Director of ENAR Ireland. Guest speakers include James Carr, University of Limerick, Iesha Moustafa, Sport Against Racism Ireland & Diverse City; and Teresa Buczkowska of the Immigrant Council of Ireland. ENAR Ireland is a national network of anti-racism organisations who aim to collectively address racism in Ireland. In January 2016, ENAR Ireland held a hugely successful national conference on Islamophobia in Dublin. The Limerick seminar on 11th May will be the first regional seminar on the issue to date and will be of interest to community workers, advocacy organisations, local media and members of the local community. The seminar will take place at the Absolute hotel from 2:30 – 4:30pm on Wednesday 11th May. Places are limited and advanced registration is strongly advised. For further details and to reserve your attendance, register on Eventbrite.